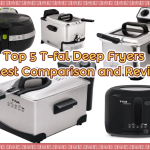 Although deep fryers are one of the commonly used items in commercial as well as home kitchens, most deep fryer owners tend to neglect the fact that they need to regularly clean them. Contrary to the common misconception which states that dishwashers can thoroughly clean deep fryers, it is worth noting that a dishwasher’s mechanical process of moving water during cleaning lacks the pressure required to remove the thick, oily, grime crusts that deep fryers are continuously unprotected from when one fries various foods. 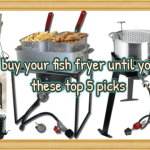 For this reason, it is important that deep fryer owners learn how to properly clean their fryers. 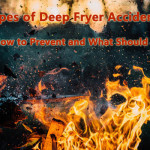 The United States Fire Administration notes that the best way individuals can prevent a deep fryer’s premature breakdown that can lead to the flare up of kitchen fires is by ensuring that they have clean deep fryers. 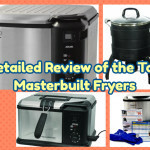 Not only will thoroughly cleaning a deep fryer reduce the safety and fire risks associated with the cooking method, but it will also ensure that one’s fryer stays in good working condition. As such, individuals ought to know the following tell-tale signs of a dirty deep fryer that requires cleaning. When grease stains on the outer and inner surfaces of a deep fryer are ignored for a long period of time, they become very sticky and difficult to clean using ordinary soap and water. As such, individuals are advised to spray WD-40 on these surfaces to loosen and dissolve this sticky oil grime before wiping them off with any type of cleaning agent. However, individuals should always rinse the surface thoroughly to avoid contaminating fresh frying oil. 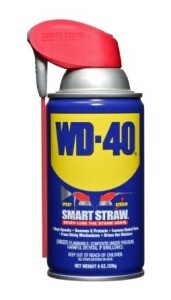 Much like WD-40, vinegar can be added to water to remove sticky oil grime. To make a great cleaning agent, one should moisten a soft scrubber with a mixture of vinegar and hot water. 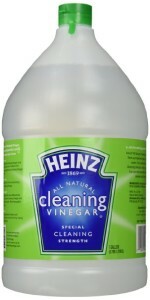 Another use for vinegar during the deep fryer cleaning process is that of removing the smell left by rancid oil. One should mix 1 part of water to 9 parts of vinegar to make a neutralizing solution that can effectively get rid of the smell. Once the surfaces are clean and smelling fresh, they must be rinsed off completely. 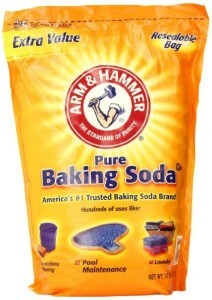 When mixed with water, baking soda paste can be used as an abrasive to get rid of stubborn oil grime found inside and outside the deep fryer. The entire deep fryer cleaning process must always start with setting up the deep fryer for cleaning based on various safety precautions. First, one needs to unplug the deep fryer from the electric power source. The fryer’s power cord should then be wrapped with a dry cloth in order to protect the wire from the water and debris that may be splashed during the cleaning process. It is important to inspect the frying oil so as to avoid re-using oil that is rancid. Re-using old, rancid oil counteracts the cleaning process as it works to increase the likelihood of the deep fryer getting grimy faster. One can distinguish fetid oil by its coloration and smell. Typically, this oil has a dirty, dark color and a fishy, musty aroma. As a general rule, individuals must never attempt to pour out hot oil from their deep fryer as it increases the risk of one getting burned or scalded. Moreover, when hot oil is poured into plastic bags or storage containers, it tends to easily them thus causing unnecessary oil spills that are hard to clean. As such, it is best to let the oil cool to at least 150 degrees Fahrenheit or lower. Once the oil has cooled to this temperature, it should be poured out into a plastic bag or container for disposal or storage, respectively. 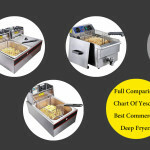 Once the frying oil has been poured out, the next step one should make is that of removing the deep fryer’s filter or basket and wiping the inside area of the fryer. 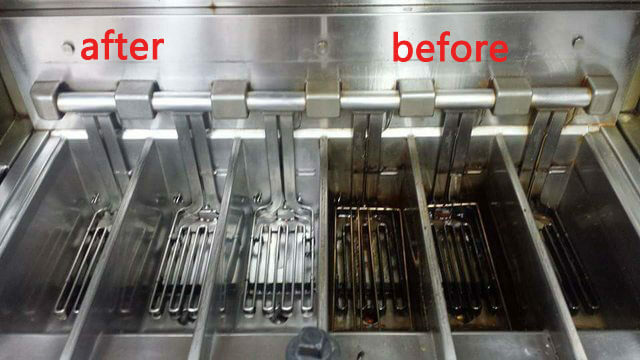 Using soap and water immediately after pouring out the frying oil is not recommended because the amount of oil residue left in the fryer counteracts the effectiveness of most cleaning products. 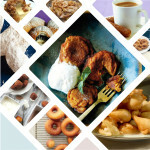 To wipe and remove the excess oil residues from the inside surfaces of the deep fryer, one ought to use paper towels. For extra oil absorbency, paper towels can be spread on the surfaces and left for a few minutes. 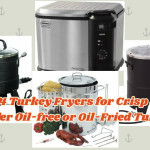 You may be required to repeat this process a few times while scraping the sides of the fryer in order to dislodge some of the oil crusts sticking to the sides and bottom of the deep fryer. 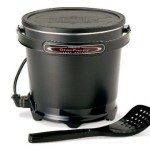 Deep fryer filters should be washed separately using high-pressure water. However, one must ensure that the water pressure is not too harsh on the filter as it may inadvertently cause irreparable damage. In addition to the high-pressure water, one should use a brush with soft bristles and a cleaning solution to remove any sticky oil grime from the filter. To clean the inside of the deep fryer, one should dip a sponge in their preferred cleaning product or a lukewarm mixture of dishwashing soap and water. It is vital that you avoid spilling water from the soaked sponge around the deep fryer’s electrical connections and the outer surface as this may pose as an electrical health hazard once the fryer is plugged back into the power source. 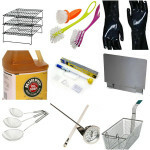 Once the inside of the deep fryer is cleaned, it is vital that one thoroughly rinses the deep fryer to remove all soap or cleaning product residues. As noted, the outside surfaces of a deep fryer tend to form grease/ oil streaks as well as thin grime crusts. 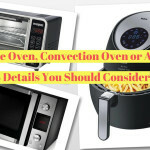 However, in order to preserve the aesthetic appearance of the deep fryer, individuals are advised to avoid using abrasive brushes or cleaning products as they easily cause permanent outer surface damages. Therefore, one should use a commercial degreaser to remove this accumulated oily filth and thereafter rinse and dry the surface using paper towels. 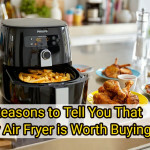 In conclusion, having a clean deep fryer not only ensures that one is adhering to the health standards of deep fried foods, but it also keeps your deep fryer in good working condition. 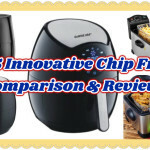 By using the tools and easy to obtain cleaning tools and products mentioned above, cleaning one’s deep fryer does not have to be a tedious, time-consuming chore. 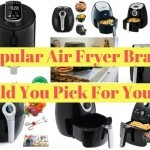 Any other products or tools can help clean deep fryer easier, please let me know in the comments section below.